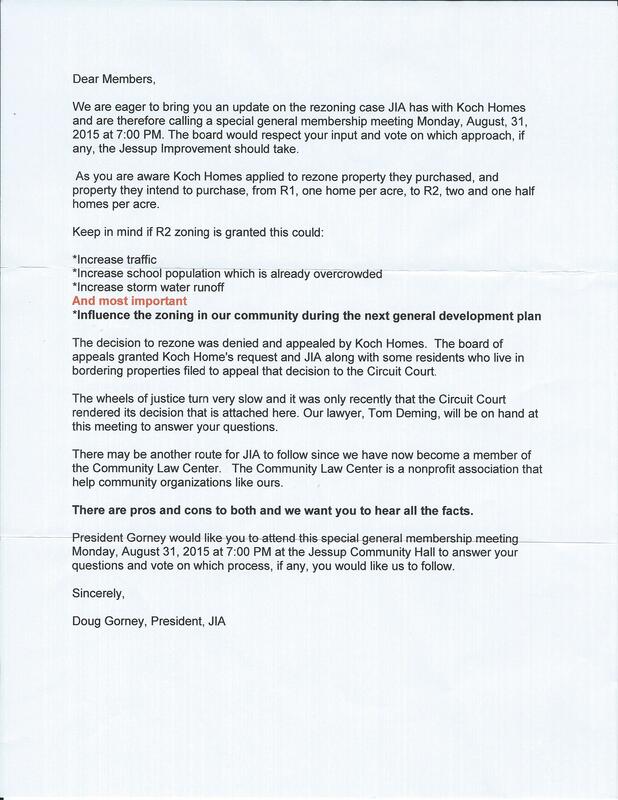 Koch Homes R-2 Rezoning Case – Jessup Improvement Association, Inc.
9.8.15 Bill No. 72-15 was introduced by Councilman Pete Smith and passed by the County Council on September 8, 2015. 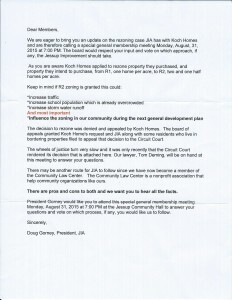 This legislation has an adverse impact on our litigation. A video of the September 8, 2015 County Council Meeting is posted on the County YouTube Channel. The presentation, discussion, and vote on the bill can be found at the 1 hour 4 minute mark.